Rennicks provides a full roads management service. 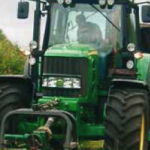 Using our fleet of tractors fitted with agricultural hedge and verge movers, our professional teams work on all road networks – local and motorway – as well as pedestrianised areas. • Removal of visibility obstructions. • Height and width reduction. • We offer one of the best flail and saw-based hedge-cutting services in Ireland. • We operate state-of-the-art machinery with highly skilled operators who take pride in completing the best job possible.